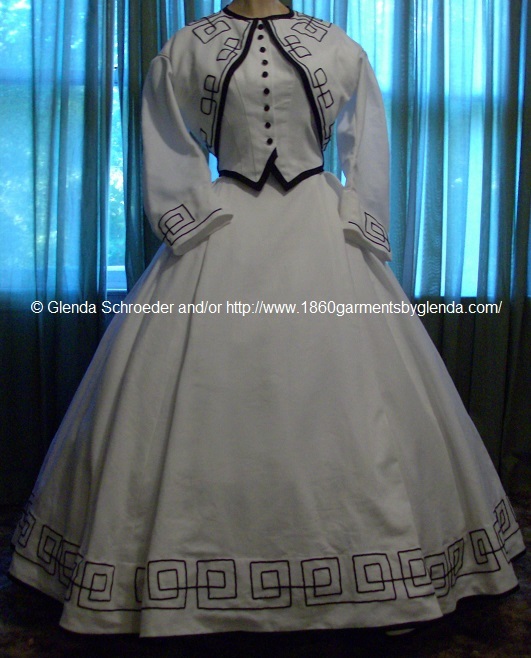 1860 Garments by Glenda - Civil War Clothing Including 19th Century, Victorian, Garments and Costumes, Custom Made Just for You! 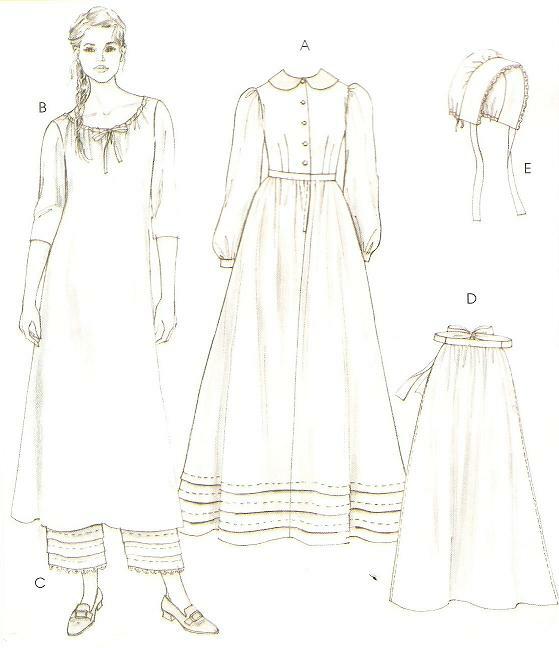 Additional Dresses Pictured at the bottom of the page. 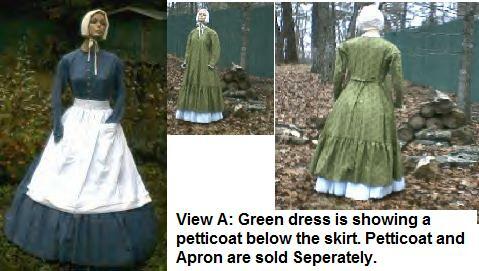 The fabrics shown on “Sample Dresses” may not be available at the time of your order. E-mail for pricing when purchasing your own fabric and notions. 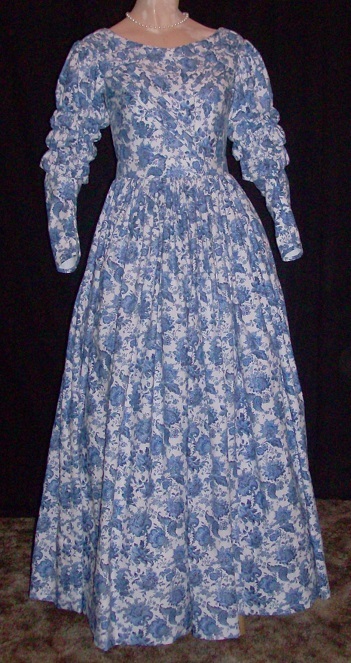 This gown is made of cotton and comes with piping in most seams, bodice linings and boning. 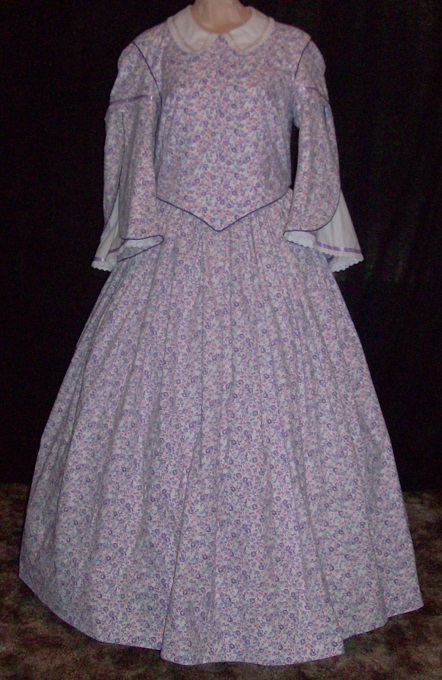 Dress opens in front, closures are hook & eyes or buttons (your choice). Each dress is custom made to your specifications. 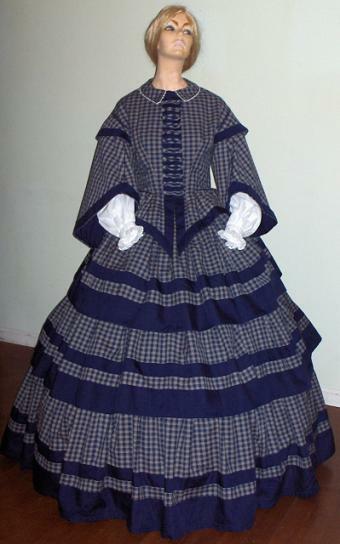 This gown is made of cotton and comes with piping in most seams, bodice linings and boning. Dress opens in back, closures are hook & eyes or buttons (your choice). Each dress is custom made to your specifications. 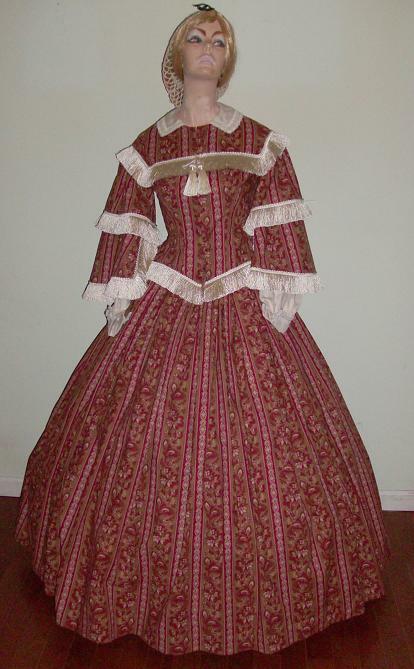 Please scroll down page to see all the dresses/gowns offered. 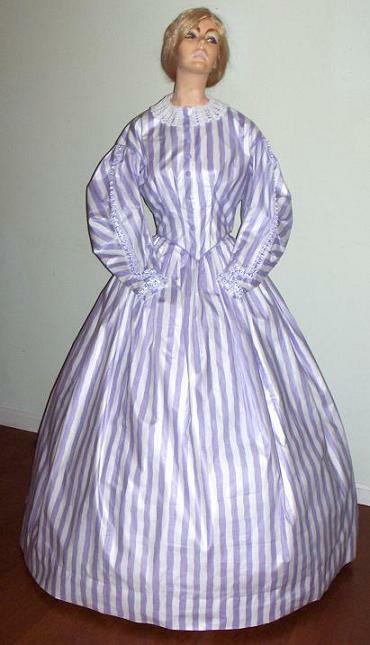 This blouse is made of cotton muslin. Blouse openings are in front or back, (your choice). 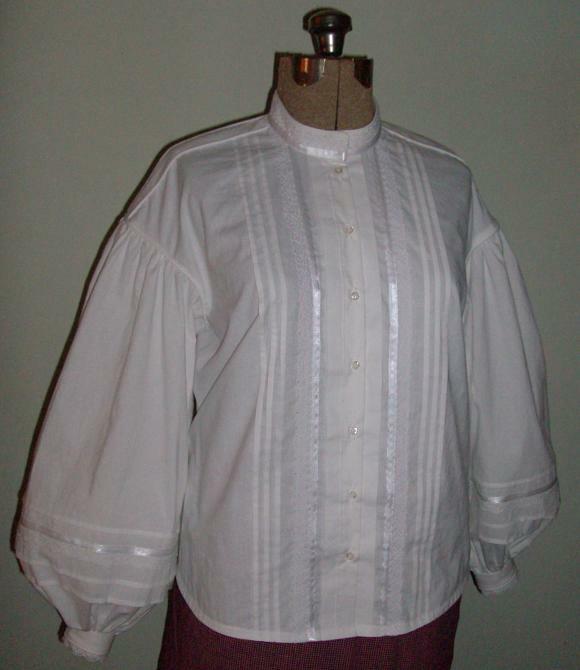 Each Blouse is custom made to your specifications. The # 1 – Best Seller for Reenactors! 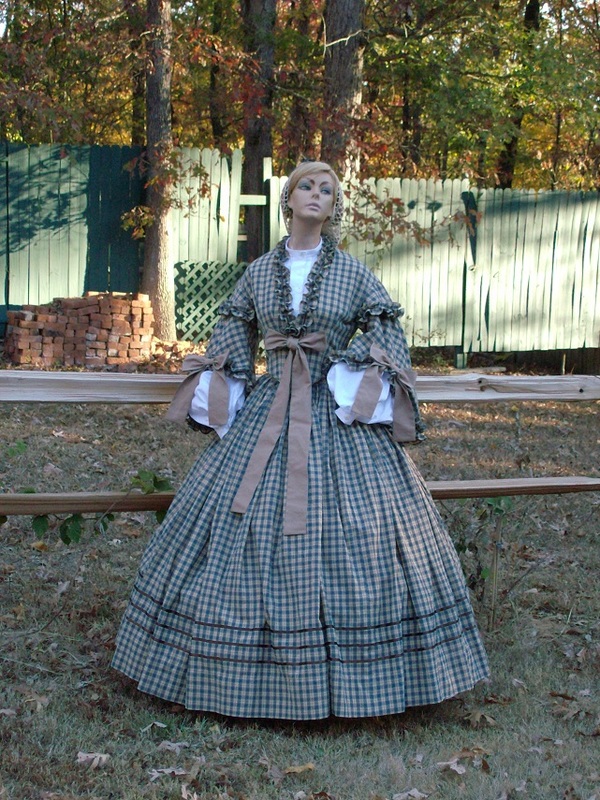 Each dress is custom made to your specifications. You are welcome to purchase your own fabrics and have them shipped to me. 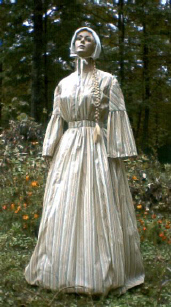 This dress comes in sizes 8 to 22 Ladies and 3 to 14 girls with growth tucks in the skirt. Dress openings are in front, closures are buttons, this dress can also be custom made to your specifications to accommodate most occasion. Additional Information – Click Here. 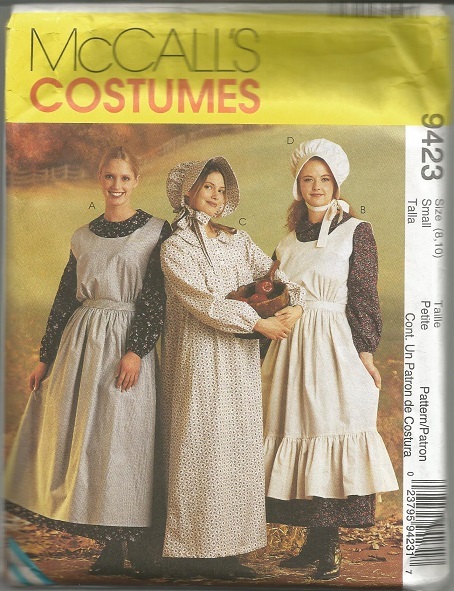 These costumes are designed and made for a “ONE TIME EVENT”, “STARTER RE-ENACTMENT”, “CHURCH HOMECOMINGS”, and “FAST GROWING CHILDREN”. Will make to your wishes! If you would like to do your own purchasing of fabric and/or supplies I will then give you a fabric credit or credits for all supplies you have purchased for your gown. If you use a supply list given, I only charge for supplies that you do not purchase, labor and shipping remain the same. Check out my costumes that will be in this movie. 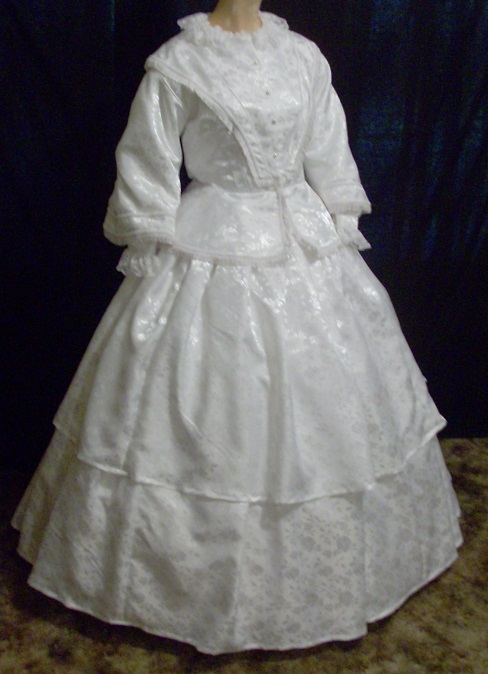 This 2-piece gown is made of cotton and comes with piping in most seams, jacket/bodice lined. Blouse sold seperately. Each dress is custom made to your specifications. 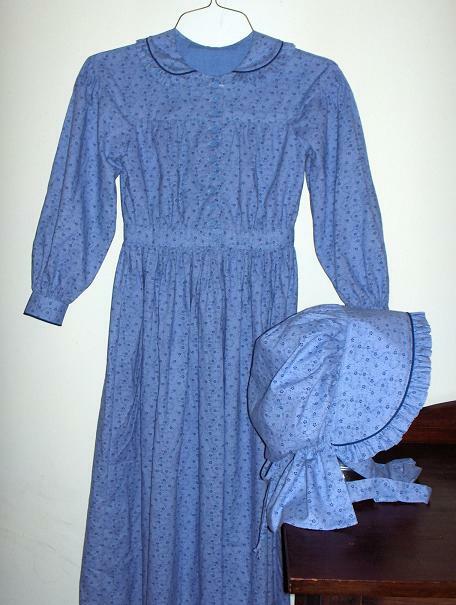 Pioneer Dress, also used as a Camp/Day Dress, without hoop. Shawl not for sale, it is for show/prop only, Blouse sold separately. 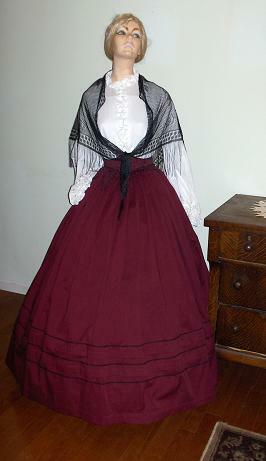 This skirt is made of cotton and comes with a matching belt. 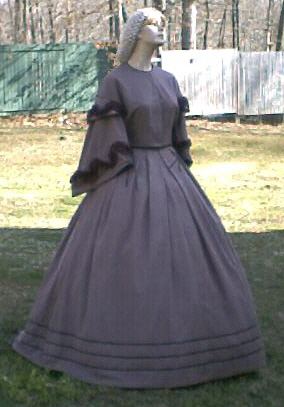 Each skirt is custom made to your specifications. Below are some extra pictures to help give you an idea.